The Hub is our main reception area. This is where visitors come to sign in and where residents can relax and watch a range of films with their children (courtesy of our DVD rental service). 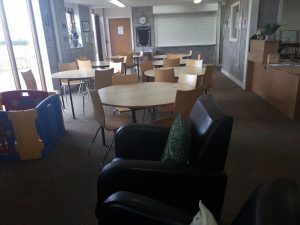 It is also the central meeting place for our Community Lunches, where residents learn to cook a wide range of delicious, healthy meals using ingredients from the garden. The wider community is most welcome to join us for these Thursday Lunches alongside staff and volunteers. The Hub is also fitted with a fully equipped kitchen for all essential training needs and helps our residents to learn to cook basic meals. We also work with external training providers who will run courses for residents in food hygiene and cake decorating to name but two. The kitchen can also be booked and used by community groups. If this is something that interests you, please feel free to contact us for more details at info@savethefamily.uk.com. 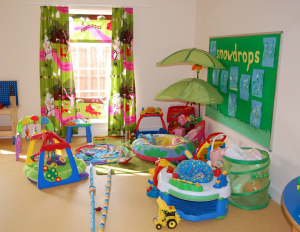 Our Children’s Centre offers provision for a crèche, nursery and after-school club. It provides a place where families can be encouraged and shown how to play and have fun together. It helps to address the educational and developmental needs of children whilst providing adults with parenting and home management skills. The centre also has a Sensory Room attached which offers a calming environment for families. It is a soft play area that contains bubble tubes, optical effects, and soothing music and is used to stimulate children’s imagination. It also helps develop listening, speech and language skills. At the front of the centre there is an outdoor play area containing swings, a slide, and a climbing frame. 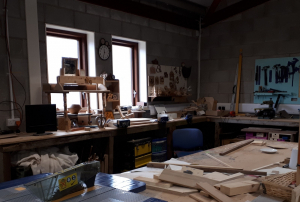 Thanks to a generous grant from UK Healthcare we have a fully equipped workshop. This is used to offer residents the chance to learn practical skills in order to enhance their CVs and make them attractive to employers. Furniture is also created and renovated in here for our families to use on site. 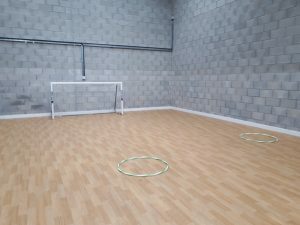 Our Sports Hall gives residents the space to play games such as football, basketball, badminton and circuit training. It has a gym attached (set up by volunteer Charlene Hayman) which boasts rowing machines, weights, bikes and cross trainers. Once inducted, residents, staff and the local community are free to use this space to exercise. These areas encourage a healthy lifestyle and promote physical and mental wellbeing. The Community Hall is where the big events happen, from contests to award giving. It also provides space for us to house the generous donations of the community. 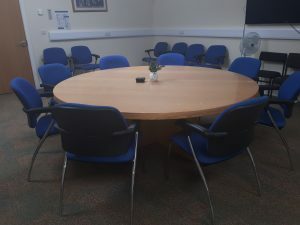 It is available for external agencies to use, either with residents (in the form of training or children’s activities) or as a place to hold formal events or workshops. If you’d like to find out more about using this facility, please contact us for more details. Our site includes a sizable acre of gardens where we grow a range of fruit trees, vegetables and herbs. 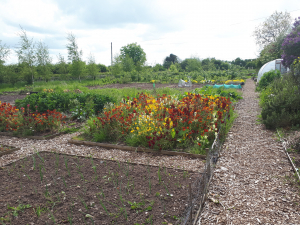 It is managed by our volunteer “Mike the Gardener” and gives families access to fresh food, encouraging healthy eating and sustainable living. This forms part of a wider programme which encourages residents to develop budgeting and menu planning skills. Management of the site also forms part of our ‘Volunteer Days’, where corporate businesses offer to help on site for a day at no cost to us. We would welcome anyone who would like to use our facilities to get in touch with us. We have a range of meeting rooms that you can utilise for your business needs, from small seminar groups to large group presentations. If you want to find out more about what we can offer you, please contact us on 01244 409100 or e-mail info@savethefamily.uk.com.